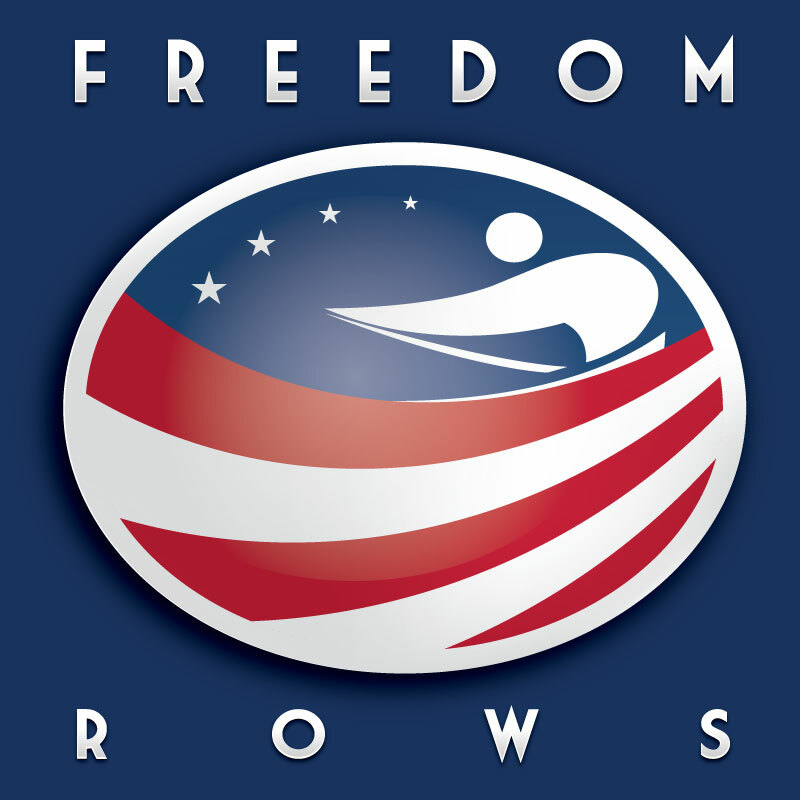 USRowing is the nonprofit organization recognized by the United States Olympic Committee as the national governing body for the sport of rowing and we are very honored to have them as a client.More recently, USRowing has launched their Freedom Rows campaign to open up the sport to the armed services members and disabled vets. Their challenge was to come up with an identity campaign that was not only representative of the sport itself, but America. The overal theme and appearance of the design is centered around America (the flag’s red and white stripes and stars), as well as the sport of rowing (rower, paddle and boat). If you relax your gaze you’ll also notice that the stars and rower form an eagle with the negative space, which is also indicative of The United States and plays a very neat trick on the eyes! Not only will this represent the program, it will also serve for branding on their shirts, hats, boats and memorabilia. We could not be more proud to help with this effort and we are very fortunate to have worked on such a remarkable program. In the fall of 2014, USRowing opened boathouse doors throughout the country for disabled veterans and members of the armed services, so they could join and experience the full range of opportunities and benefits of recreational rowing at their VA sports facility or local club.